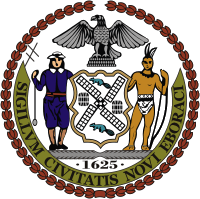 Thank you for your very kind invitation to address the inaugural meeting of the New York City Broadband Advisory Committee, on Friday, March 30. Unfortunately I am not able to be in New York that day because of scheduling conflicts and I must therefore decline. I am however delighted to learn of your initiative in pursuit of "expanding and universalizing" broadband access. I am testifying on this very subject before the U.S. Senate Commerce Committee this week, believing as I do that this must be a high national priority if our communities and our country are going to be competitive and successful in the 21st century. I wish you well in your endeavour and again, thank you for thinking of me. Our goal is to reduce the involvement that young people have with guns, violence, and drugs through our STOP Program. Our objective is to help students learn to STOP and think of the negative effects that involvement with guns, violence and drugs can have, and provide creative activites for students so they can develop their own talants toward a better education. We have after school music programs where children learn to read music and play drums, piano and trumpet. One of our students was accepted into Juilliard School of Music. we gived them, such as: "School Violence", "My Space Safty". The STOP Program at the Marble Hill Community center is ongoing sence September, 2002 where we provide students ages 7 to 13 with a better understanding and a perpous in life. Every New Yorker should have access to affordable high-speed Internet from home, but the need is particularly urgent for senior citizens—especially the home-bound elderly. Older adults can use computers to overcome social isolation, connect to health information, and access government services, but fewer than one in four senior citizens is online today. As a result, one of the most important tools for improving the quality of life of aging New Yorkers is unavailable to the majority of households, primarily as a result of high cost. Older Adults Technology Services (OATS) recommends that the City of New York, together with providers of telecommunications services, create a program to make affordable Internet service available to low-income elderly residents of the city, with special focus on those living alone with mobility impairments. There is a great deal at stake for older adults in the Digital Age: The pervasive reach of technology has fundamentally changed the way that Americans connect to their families, communities, government and society. From mundane activities such as shopping and reading the news, to life-and-death needs like health care and social contact, technology has become an indispensable tool for living. In 1996, an individual might be correct in assuming that computers, the World-Wide Web, digital video and high-speed Internet access were primarily tools of the business world, universities or technology specialists. Just ten years later, these devices and resources are in common daily use in the vast majority of American households. • A recent study by the Congressional Government Accountability Office found that the federal Medicare telephone hotline gave out inaccurate or incomplete information 39 percent of the time. Experts report that the Medicare.gov website is the only resource that allows seniors to compare all available “Part D” plans together with the list of medications used by an individual. • BenefitsCheckUp.org, sponsored by the National Council on Aging, provides an opportunity for users to consider their eligibility for over 1300 different public benefit programs, averaging over 50 programs per state. More than 1.2 million people have used the service. • A recent study by the Heldrich Center for Workforce Development found that two-thirds of American workers plan to continue working past the traditional age of retirement, many who need the income to continue to live independently. Yet with information workers now accounting for more than 70 percent of the American labor force, older applicants who often lack technology skills are at a distinct disadvantage. Perhaps the greatest challenge faced by older adults in the Digital Age is social isolation. Escalating social isolation among senior citizens has recently been called “a formula for disaster” by researchers. As growing numbers of older adults today seek to “age in place” at home, they rely increasingly on community-based social networks for assistance with health care, services and daily necessities. Unfortunately, these networks break down all too often: nearly one-third of low-income seniors who live alone report going for weeks at a time with no direct social contact from friends or neighbors. The Internet can be a veritable life-line for the home-bound elderly. Seniors who live at home and have mobility impairments are at particular risk for loneliness and social isolation. For these individuals, a computer can serve as a powerful tool for connecting to friends and family, for accessing news and information, and for managing information about health care, finances and over vital topics. Access to the Internet can help older adults live better, more independent lives in communities across New York City. Unfortunately, age is a very strong predictor of Internet use. A recent study by the Pew Internet and American Life Project found that just 22 percent of Americans over the age of 65 use the Internet. Young people, by contrast, are the most intensive users of technology: 79 percent of teenagers between the ages of 14 and 17 go online regularly, together with nearly 20 percent of pre-schoolers, ages 3-4. A combination of market forces and social initiatives is helping to close the technology gap for senior citizens in New York City, yet the lack of affordable broadband access for seniors continues to be a major obstacle to large-scale change. Nonprofit organizations, foundations and corporate sponsors are doing important work to train seniors and help them gain access to computer hardware at home and in community technology centers around the city. Lower costs for hardware and software, along with more senior-friendly interfaces and applications, are bringing the benefits of technology to more older adults every year, but the high cost of Internet access remain a serious barrier for many seniors. Poverty among New York City seniors is rising at an alarming pace and is now almost double the national rate. Nearly 18 percent of New York seniors live in poverty, according to the 2000 Census, an 8 percent increase over the previous decade. One-third of people over the age of 65 live alone (319,000 individuals), and 39 percent have a disability that impairs their mobility or their ability to care for themselves. • OATS and Per Scholas, supported by the Fan Fox and Leslie R. Samuels Foundation, recently launched an ambitious program to teach computer skills to 500 low-income senior citizens and install free refurbished desktop computers in their homes. The program, called Comp2Seniors, has already served nearly 200 seniors and is meeting with enthusiastic responses from participants. Bronx-based partners include RAIN, Mt. Hope Housing, Phipps West Farms, and Castle Hill Senior Center. • Mt. Hope Housing Company is wiring over 1200 units of low-income housing for affordable Internet access, and is partnering with OATS and other nonprofits to make enable hundreds of older adults can participate in using the new technology. • Jewish Home and Hospital Lifecare Systems recently launched a pilot project with OATS to train JHH volunteers to teach technology skills to home-bound senior citizens. • IBM has donated 200 computers left over from the Republican National Convention to senior centers around the city, enhancing locally available resources for training and supporting older adults who wish to learn technology. OATS recently received a grant from IBM to load software for the visually impaired on desktops at multiple community technology locations that serve seniors. • OATS has expanded its technology training programs for older adults to over 20 locations citywide. The organization taught 622 class sessions free-of-charge to seniors in 2006, and has developed three levels of curriculum that are taught in an intergenerational format using high school students to co-teach the classes. OATS has launched a digital community for older adults at www.seniorplanet.org to provide a platform online for older adults to share resources, events, and blog commentary. These initiatives represent significant commitment from the nonprofit, corporate, and philanthropy sectors to help low-income older adults get access to hardware, training, and support as they seek to participate more fully in the digital age. Lack of affordable broadband access remains is a serious obstacle to overcoming the technology gap for seniors—and is possibly the area where the least progress is being made. Falling prices for desktops and software, along with high-capacity programs such as the Per Scholas Comp2Seniors initiative, are putting computers within reach for even the lowest-income seniors. Training and outreach programs run free-of-charge by OATS and its 20 nonprofit partners around the city are enhancing the skills and knowledge of thousands of older adults each year. But for the approximately 50,000 elderly New Yorkers living alone on less than the poverty threshold of $8980 a year, a $480 annual broadband bill is simply not within reach. 4. Support the continuation and expansion of training, support, and hardware initiatives for seniors. If the budget for the Department for the Aging were increased by 2 percent to help pay for a comprehensive program of connecting older adults to technology resources and the Internet, $4.6 million dollars would be available to address this critical problem. Such a program could serve thousands of low-income older adults each year with low-cost or free Internet access, computer training, intergenerational programs, free or low-cost refurbished computers, technical support, and online resources. Home-based Internet access, which is taken for granted by the vast majority of Americans but is still beyond the reach of most senior citizens, is the linchpin for a broad range of life resources today. It should be emphasized that the purpose of a public technology program for seniors is to leverage the power of technology to help older adults overcome social isolation, improve health information and financial management, and connect to government services. The City of New York currently provides a range of needed programs for older individuals to ensure their quality of life, including transportation services, home-based nutrition counseling, and employment services. OATS believes that increased access to technology is an important way to enhance and extend the services we currently provide, enabling us to enrich the lives of thousands of vulnerable older adults with a cost-effective program that builds on initiatives currently supported by a broad range of community-based and nonprofit organizations across New York City. Information about the March 30th public hearing in the Bronx. Sponsored by the Office of Council Member Gale A. Brewer (CD 6 - Manhattan), the Office of Bronx Borough President Adolfo Carrion, Bronx Community College and the South Bronx Overall Economic Development Corporation (SoBRO), the New York City Broadband Advisory Committee will hold its first public hearing on March 30, from 10 am to Noon, Gould Memorial Library Auditorium, Bronx Community College, University Place at W. 181st Street. The Committee will hear testimony from select elected officials, policy experts and, most importantly, Bronx residents. Council Member Brewer and Borough President Carrion invite all Bronx residents, nonprofit organizations and businesses to testify about the availability and affordability -- or lack of -- of broadband (that is, a high-speed connection to the Internet) in their neighborhoods. 1. Why is a fast affordable Internet connection important to you? 2. What do you consider an "affordable" fee to pay for an high-speed connection to the Internet? 3. If you have a broadband connection, what do you use it for (e.g., help your child do his/her homework)? 4. If don't have broadband or if you had a faster connection to the Internet, what would you use it for (e.g., market your business on-line or look for a job)? The hearing in the Bronx will kick-off a series of five public hearings that will be convened in every borough of New York City. Based on these hearings and with the help of the New York City Economic Development Corporation, the Advisory Committee will report their findings and recommendations to the Mayor and City Council. For information regarding the Committee's public hearing schedule, event details and how you might get involved in providing community outreach, please contact Ryan Merola (ryan.merola@gmail.com / 212-788-6975). For about information about Local Law 126, the Committee and its structure, and broadband policy, please contact Jeff Baker (jeffrey.baker@council.nyc.ny.us / 212-788-9193), Counsel to the Committee on Technology in Government. If you are a member of the media and would like more information about the Committee and/or the public hearings, please contact Bruce Lai, (bruce.lai@council.nyc.ny.us / 212-788-6975), Chief of Staff to Council Member Gale A. Brewer. Please feel free to circulate, send and/or post information about the Broadband Advisory Committee. These questions will guide the committee as it assesses the impact of the current state of Internet availability for the city. But they aren't simply questions to guide the committee in their hearings; these questions are to be answered by everyone. So send the committee your answers, thoughts on the questions, or any other information on your experiences with broadband that you would like to share. You can comment on this post or e-mail the persons listed in the post below. More to come!